When you hear the brand Samsung, you automatically think of creativity and quality. Founded in 1938, this is a South Korean company with a commitment to new discoveries in consumer electronics and beyond. Today, the company is one of the top 10 brands in the whole world. 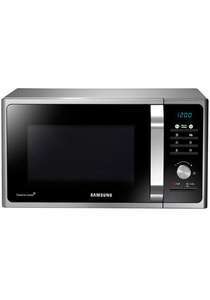 Samsung manufactures everything from TVs and microwaves to wireless keyboards and touch screen remote controls. With every product it aims to make the world a better place in a socially responsible manner.